Let me ask you a question. Are you ready for a puppy? Sure, you want one, but are you really ready for one? That&apos;s a question that I had to ask myself long and hard when my kiddos started begging for their own puppy recently. Actually, let me back up. It wasn&apos;t really recently. Let&apos;s face it, they started asking for one YEARS ago, but the hubs and I weren&apos;t exactly up for the responsibility. Plus, my son has big time allergies. Basically, we always had a legitimate excuse...but then we moved. Yep, about a year go we moved into a dog dominated neighborhood and a day doesn&apos;t go past when we don&apos;t see one walking past our house. With that move their dog fever really heated up...and they weren&apos;t the only ones. I have to admit, the owners of those playful pups always seem to look oh so happy. Plus, one of our favorite neighbors has two of the sweetest Goldendoodles (who tend to be ok for allergies) you&apos;ll ever meet. Thanks to those cute, fluffy new neighbors of mine, I started to think there had to be something good for the soul in this whole dog ownership thing. So, I started to do some research and I started to work on the hubs (he needed a little more convincing than mama did). How much work is a puppy really I asked him? Well, we found out that the answer is puppies are a heckuva LOT of work. 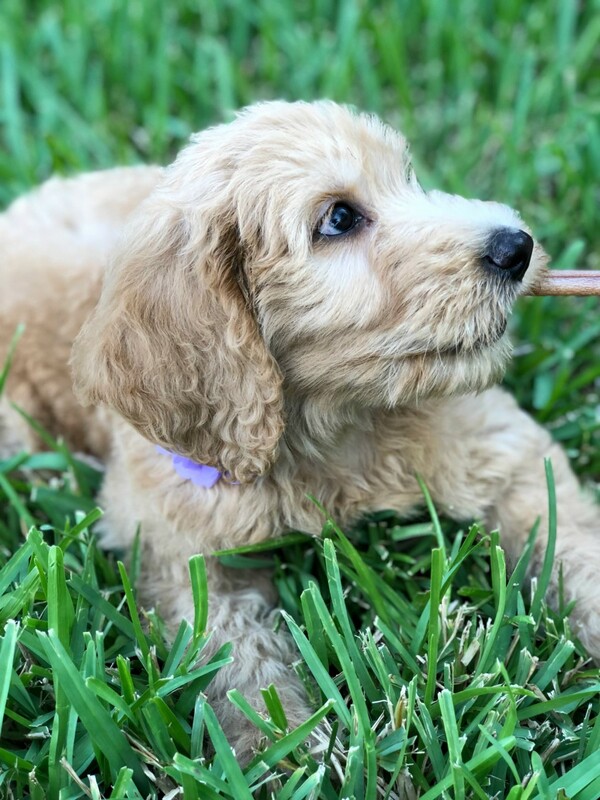 But before I get to my are you ready for a puppy checklist, let me tell you that this story does have a happy ending, so don&apos;t get discouraged. One look at that precious face and you can see why, but I digress...Since we are one of those blissed out dog families now, I thought I would give you a little taste of what to expect in case you too were thinking about adding to your family. 1. Are you ready for sleepless nights? Bringing home a new puppy is literally like bringing home a new baby. For at least a few weeks you&apos;re going to be getting up every couple of hours to take your baby outside to potty. If you don&apos;t, be prepared to invest in some serious cleaning supplies. As a rule, puppies only tend to be able to hold their bladders an hour for every month of their age. So, if they&apos;re 8 weeks old, they should be able to hold it for 2 hours. The key word is should. Puppies are going to have accidents. That&apos;s inevitable. But if you can get ahead of things and take them out as much as possible, you can mitigate that some. At least that&apos;s what worked for my puppy. Plenty of outside time and a treat when she went. Now she&apos;s a potty champ! Bwah! 2. Are you ready to check your impulsivity at the door? Say goodbye to the days of impromptu outings. Remember that whole potty thing we talked about? You can leave for an hour, two tops, but then it&apos;s right back home to take your puppy out. It can be difficult to get used to at first. Especially if you have jam packed schedules or a free wielding spirit. Somebody has to go home. And sometimes that means your family separates, which can be tough. Our weekends are our together time and we had to accept that was going to change for a bit. No more leisurely brunches or hours long hikes. We had to stick closer to home. 3. Are you ready to deal with the pain of teething? Teething puppies NEED to chew and, as a result, they chew on anything and everything in their vicinity. That means you have to puppy proof your home much in the same way you baby proofed it for those sweet babies of yours who put everything in their mouths. You&apos;ll have to do a thorough sweep of your house and put everything out of hands reach. That means toys, throw pillows, baskets, cords...I could go on and on. And once you&apos;ve done that, make sure you have plenty of chew toys on hand. If your puppy doesn&apos;t have something to chew on, it&apos;s going to be you. And even if they do have toys, it&apos;s still probably going to be you sometimes. So, just know that you&apos;re going to be chewed up a bit and it&apos;s not going to feel great. 4. Are you ready to spend, spend and spend some more? Puppies are not cheap. Even if you go the rescue route, there are still plenty of expenses to consider including vet visits (you&apos;ll have several in those first few months until your fur baby finishes up her puppy shots regimen), training classes, along with the basics like a leash, a collar, food, treats, a crate, those all important chew toys I mentioned and MORE (stay tuned for my list of 10 things every puppy owner needs). And I would consider pet insurance too. Even a minor issue can turn into a BIG bill at the vet. Pet insurance can help offset that. So, if you aren&apos;t ready for a load of up front AND unexpected expenses, it&apos;s probably not the right time for a puppy. 5. Are you ready to flat out fall in love? Ok, so up until now this has probably seemed like a cautionary tale up. My goal isn&apos;t to scare you, but to prepare you. Puppies certainly aren&apos;t easy, but they&apos;re definitely worth the effort. When you bring home a puppy you bring home a new best friend. She&apos;ll be the kind of BFF who&apos;s there for you no matter what. Through thick and thin you&apos;re loyal to the core pup will be ready with wet kisses and a pure heart. 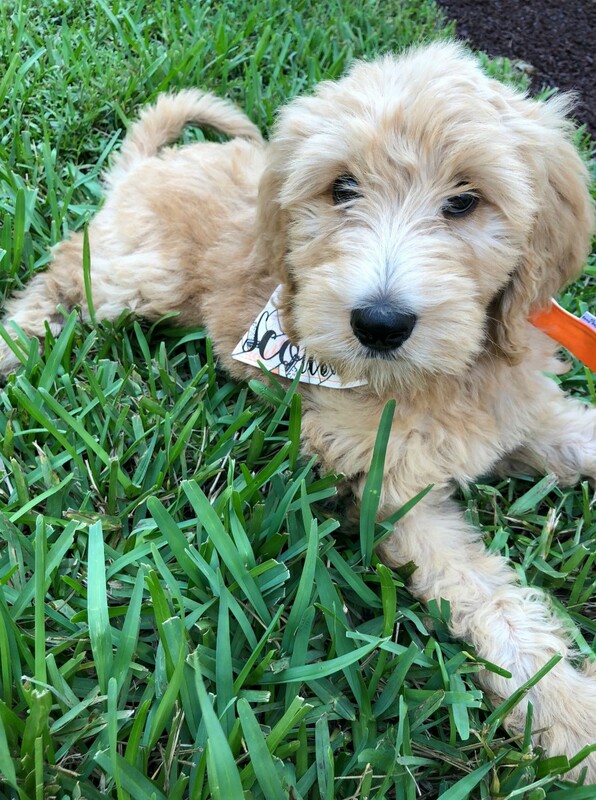 And while I don&apos;t know if I was fully prepared for ALL the work that puppies bring with them, I&apos;ll never regret taking the puppy plunge because Miss Scottie Grace is simply the BEST! She&apos;s better than all the rest you might say. Haha! So, the question is. Are you ready for a puppy? 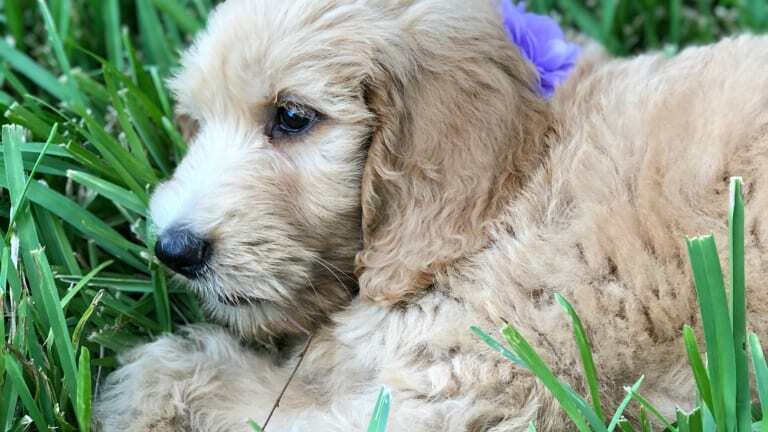 * For more puppy fun, check out our tips for how to make your yard dog friendly.